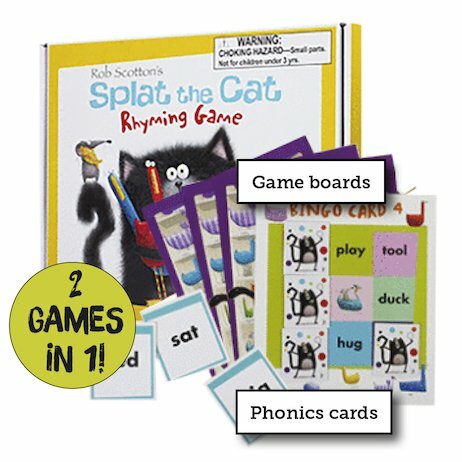 Looking for a purr-fect way to learn phonics? Bingo! Splat the cat is here to help. His fabulous bingo game turns learning into playing. What’s not to like about that? Practise reading the simple words on the game boards. Then match them to the rhyming words on the game cards. How fast can you do it? And when you’ve mastered bingo, there’s another great game to try. Yes, that’s right: it’s a 2-in-1 learning treat. Way to go!